After working with an Antarctic Expedition operator for a number of years, I’ve always been excited by travel and never thought the opportunity to travel to Antarctica would present itself. Fortunately, in 2012 I was lucky enough to have the opportunity to experience Antarctica first hand with Chimu Adventures. Boarding our vessel the Sea Adventurer was a surreal experience after working closely with the Antarctic expedition vessels for a number of years and to now be on board. The anticipation of 120 excited passengers, about to embark on our very own Antarctic expedition provided a real sense of the adventure that lay ahead of us. I remember, one of the most amazing experiences of the voyage was actually in the Beagle Channel only hours after setting sail. While most of the passengers were on board settling into their cabins and the ships surrounds, my wife and I found ourselves on the back deck amidst one of Tierra del Fuego’s incredible sunsets, the sky was like fire silhouetting the summits of the Andes. That night and for the following 2 days we sailed across the Drake Passage, as Wondering Albatross’ pull alongside the ship and sail in its draft. The expedition ship nears the Antarctic Convergence and we see icebergs in the distance and as we come closer, we feel we have earned our wings crossing the mighty Drake Passage. 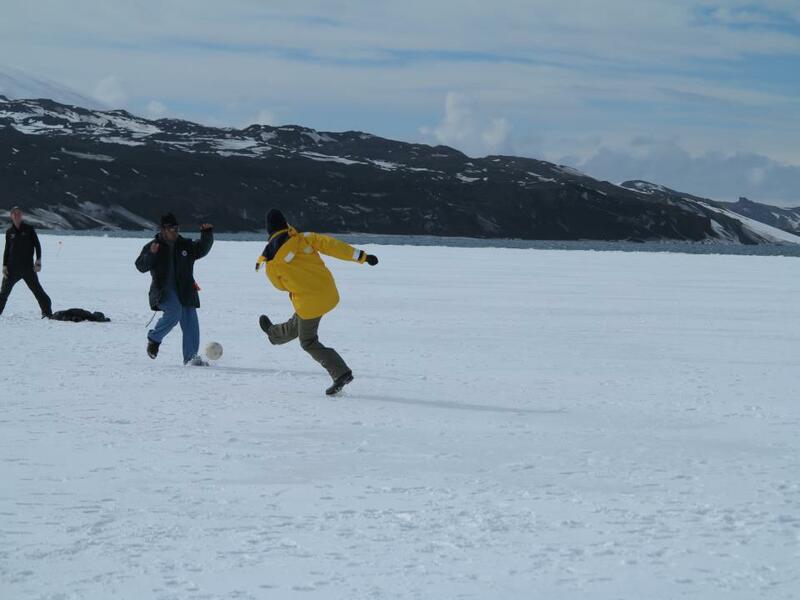 Antarctica was amazing, the feelings it invokes in your soul cannot be expressed. One minute your world down there can be so beautiful, picturesque and the next minute it’s so stark and feels like your floating down a dark icy-graveyard. Lucky for us the weather cleared and we had 3 days of sunny skies, where the Andes were perfectly mirrored on the Southern Ocean. One experience I would highly recommend is camping on the ice, after dinner one evening a group of around 20 of us, went ashore, set up camp and then went on a short hike. Walking away from the ship, we found ourselves in a totally serene environment, where the only noises were from whales surfacing and of course the click of snap happy photographers. 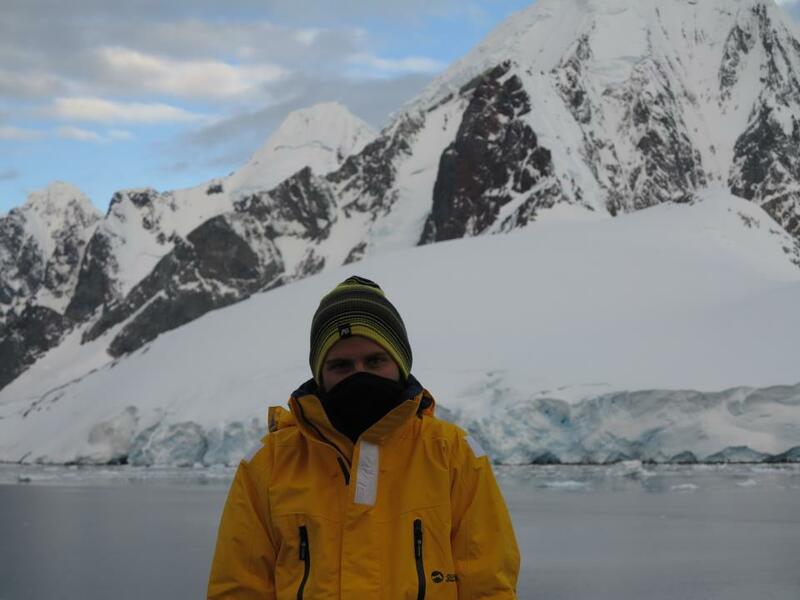 It was such an intimate experience with the Antarctic environment. It certainly was an experience of a life-time and one that I am sure every Antarctic expedition’er comes away with nothing but incredible memories and thousands of photographs. 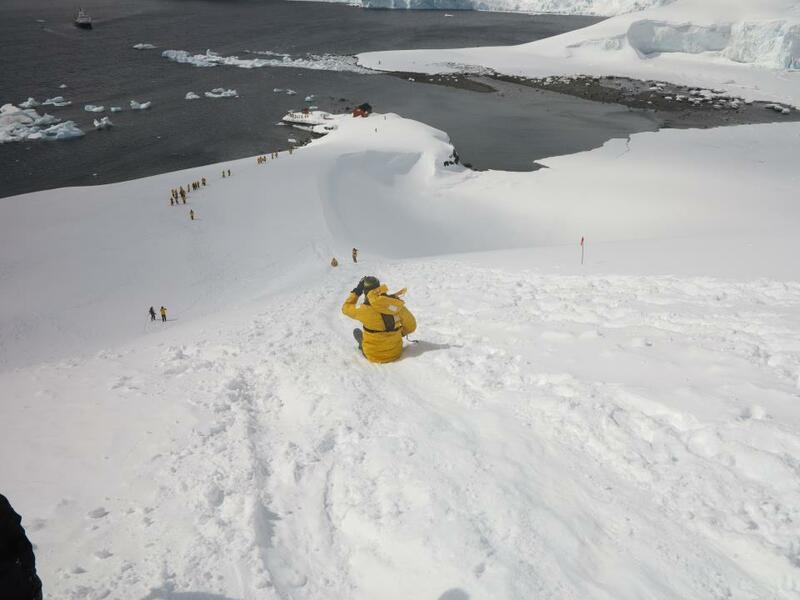 Got all inspired to go to Antarctica yourself? Click here for trips and information!